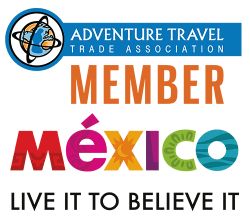 Since 2007, we have guided hundreds of enthusiastic travelers to Veracruz, México. We are confident your clients will enjoy discovering the rich history found in the state of Veracruz with its vibrant African/Spanish/Caribbean influenced culture, and all of its captivating natural geographic beauty. Since 2007, we have guided hundreds of enthusiastic travelers to Veracruz, México. Many of them were clients of travel agencies and other tour companies. We can help you with FITs as well as small and large group tours to explore this east coast Mexican state. Who would be interested in booking a trip to the state of Veracruz in México? Travelers who prefer to interact with the local people in their natural surroundings void of commercialized tourism. Parents who want to have outdoor family fun with their children and also introduce them to a different culture without having to travel half a world away to another continent. They have been “everywhere” in México and are now looking for a “NEW” region to explore. We would love for you to come and experience our trips first-hand! Let us know of your interest and we can arrange a great discounted deal for you. The state of Veracruz is a fascinating and fun place to visit. We invite you to come and enjoy this little-known corner paradise in México. We are here to serve and help you by providing you with all the materials necessary to entice your clients to come on one of our exciting trips or to help create a custom trip just for them. Call or email us today. We look forward to a profitable relationship.